An environmental activist was almost killed yesterday in the Indian Ocean after the great white shark he was trying to hug suddenly attacked him and bit his arm off. 21-year old Darrell Waterford, from Eugene in Oregon, was participating in a promotional video for Greenpeace, some 100 nautical miles away from the Australian city of Perth. Along with four other members of the organization, Mr. Waterford decided to dive with some great white sharks in order to improve the marine predator’s public image and raise awareness about shark hunting. The group shot some incredible footage during the first 30 minutes as they swam with a group of sharks caressing and even hugging the large animals. Unfortunately for the young American, one of the sharks suddenly became aggressive after being hugged and suddenly attacked him. It attacked Mr. Waterford and tore off his right arm right below the elbow. The young man lost a large amount of blood, but was able to get out of the water and was rapidly taken to the hospital. 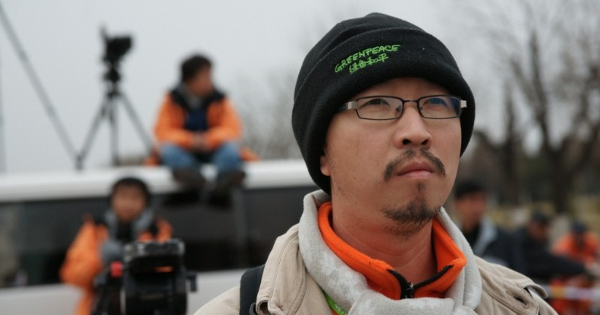 Huei Li Chong, the leader of the expedition, described the violent attack in an interview with the Australian Broadcasting Corporation. 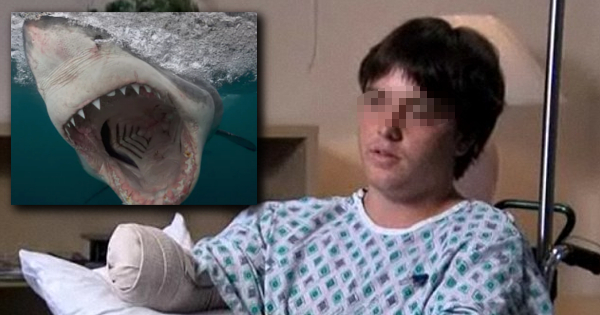 According to him, the shark might have turned aggressive after smelling blood in the water. Huei Li Chong, who was diving with Mr. Waterford at the time of the attack, believes the shark may have become aggressive after smelling blood. Greenpeace has been campaigning for years against shark finning, which consists of the removal of fins from sharks, often while the shark is alive. Despite the organization’s efforts, finning has increased dramatically since 1997 largely due to the increasing demand for shark fins for shark fin soup and traditional cures. Greenpeace has been trying for years to improve the white shark’s image in order to obtain an international ban, similar to the international treaty that applies to commercial whaling. Several members of the organization now fear that this incident will compromise their campaign to restore the white shark’s image as a peaceful marine creature. 5 Comments on "Greenpeace activist gets arm bitten off after hugging a white shark"
The best way to draw attention to shark finning is to go undercover and get footage of the practice and let people’s consciences decide if they want to eat shark fin soup. With this publicity stunt, now people of good conscience will have to decide if it’s worth the loss of an idiot’s body parts or life to eat shark fin soup. This stunt may even increase the consumption of shark fin soup. Maybe the shark took hugging as an invitation to lunch. Here we go again! Anthropomorphism is alive and well in these crazy environmental wackos. Sharks – like bears, wolves, tigers, lions and any other large predatory animal are to be respected for what they are – killing machines – FROM A DISTANCE. Waterford learned a lesson he will carry with him the rest of his life. A great white in the water is as peace-loving as a lion on land. They’re predators, you idiots. I am against finning, but also understand anyone with a grain of sense shouldn’t play with sharks. Typical eco-tards… But, on the bright side, Natural Selection at work.